The Florida Division of Corporations´ Sunbiz™ web site offers searches and access filed information for corporations, limited liability companies, limited partnerships, general partnerships, trademarks, fictitious name registrations and liens. Images of most filed documents can be downloaded at no charge and to make the filing process easier, most filing forms can also be downloaded. Electronic filing and certification can be processed through Sunbiz™ and Help information is accessible for all filing types. The official portal of the State of Florida. The Department of Business and Professional Regulation is launching its DBPR Dashboard. The DBPR Dashboard provides a view of the Department’s processing time, customer contact center call statistics, and licenses issued in the previous month. To view the DBPR Dashboard click here. The Florida Department of Economic Opportunity promotes economic opportunities for all Floridians, formulating and implementing successful workforce, community, and economic development policies and strategies. The Florida Department of Economic Opportunity also offers labor statistics. Labor Market Statistics’ mission is to produce, analyze, and deliver timely and reliable labor statistics to improve economic decision-making. Employ Florida links all of Florida’s workforce services—state and local—to each other. The state partners are Workforce Florida, the state policy and oversight board, and the Agency for Workforce Innovation, the state agency which administers workforce funds. 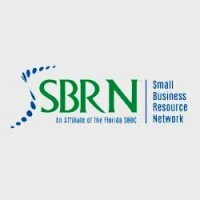 At the local level there are twenty-four regional workforce boards that administer close to 100 “one-stop centers.” Together these organizations represent the Employ Florida network of workforce services and resources. The state and local boards are composed of educational, governmental and private business resources to address local workforce needs. Too often, interactions with the government are burdensome and frustrating. From seeking out financing opportunities to learning about the latest regulations affecting them, hard-working businesses are spending too much time navigating the federal bureaucracy. Business USA, a centralized, one-stop platform to make it easier than ever for businesses to access services to help them grow and hire. The US Department of Labor fosters, promotes, and develops the welfare of the wage earners, job seekers, and retirees of the United States; improves working conditions; advances opportunities for profitable employment; and assures work-related benefits and rights. The Economic Census is the U.S. Government’s official five-year measure of American business and the economy. It is conducted by the U.S. Census Bureau, and response is required by law. Know what you’re looking for and want to find it fast? Select business topics using our A-Z listing, or by business type such as sole proprietor, corporation, etc. We also provide links to major business subjects, such as Business Expenses, which provides a gateway to all related information on that subject. The United States Patent and Trademark Office (USPTO) is the federal agency for granting U.S. patents and registering trademarks. In doing this, the USPTO fulfills the mandate of Article I, Section 8, Clause 8, of the Constitution that the legislative branch “promote the progress of science and the useful arts by securing for limited times to inventors the exclusive right to their respective discoveries.” The USPTO registers trademarks based on the commerce clause of the Constitution (Article I, Section 8, Clause 3). Under this system of protection, American industry has flourished. New products have been invented, new uses for old ones discovered, and employment opportunities created for millions of Americans. The strength and vitality of the U.S. economy depends directly on effective mechanisms that protect new ideas and investments in innovation and creativity. The continued demand for patents and trademarks underscores the ingenuity of American inventors and entrepreneurs. The USPTO is at the cutting edge of the nation’s technological progress and achievement. The FDIC encourages bank lending to creditworthy small businesses. The FDIC also encourages small businesses that may have an inquiry or concern about the availability of credit to contact our new Small Business Hotline at 1-855-FDIC-BIZ1-855-FDIC-BIZ FREE. We will respond to inquiries about policies and financial institutions under the FDIC’s jurisdiction as well as make referrals to other government agencies and information resources.